There’s a special sense of achievement that comes with reaching Long Island’s easternmost point, lovingly referred to as “The End.” Scores of summer warriors battle hours of gridlock, overcrowded trains, and hordes of Jitney travelers just to reach Montauk’s sandy shores. 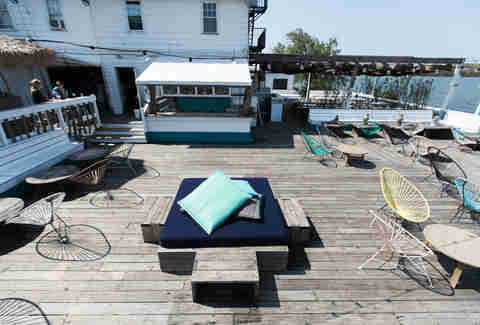 But for those who make it, Montauk rewards the effort with great beaches, views, and food. 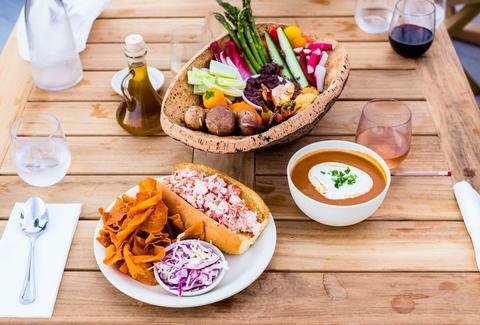 From waterside seafood spots to local-friendly dives, these are the best places to eat and drink in Montauk. 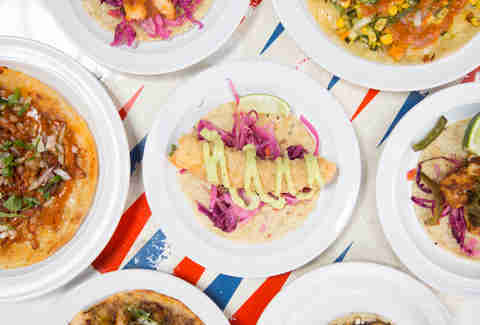 The easternmost outpost of popular NYC taco joint Tacombi, La Brisa is a seasonal spot located smack dab in the middle of town. 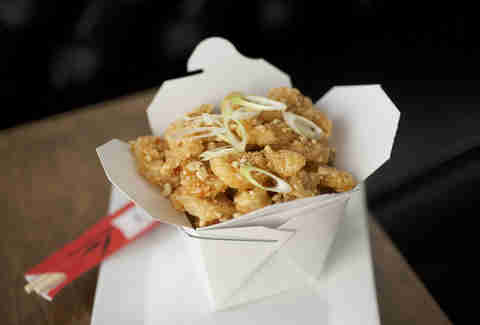 Here, the menu focuses on seafood tacos like Montauk tilefish and pickled cabbage or crispy shrimp and poblano mayo. The place is always lively and perfectly suited to knocking back a fresh margarita after a day at the beach (or, if you’re still recovering from imbibing the night before, rehydrate with one of the signature agua frescas). It doesn’t get much more charming than the cozy, rustic dining room at The Crow’s Nest. Luckily, the food lives up to the welcoming atmosphere with comforting dishes like curried vegetable ragu and fresh Montauk fluke with a basil crust. And don’t miss the chance to finish the evening with one of the restaurant's expertly made cocktails. Need a change of scenery? Sip it outside by the glow of the fire pits. Situated on its own 200-foot private stretch of sand, Navy Beach is beloved both for its prime location and its menu, which maximizes sustainable seafood and local produce. The prime seats here are the white picnic tables plopped directly on the sand, but if the weather isn’t cooperating there’s an indoor dining room with floor-to-ceiling windows. Navy Beach also boasts one of the largest selections of that other staple of the East End diet: rosé. Yes, it’s technically part of the Hamptons -- that high-priced playground of the mega-rich. But once upon a time, Montauk was a working-class getaway. If you want to catch of glimpse of the way it once was (and snag a $1 draft beer), check out Liar’s Saloon. This old-school fisherman's bar remains just the right amount of rough around edges, with photos of prize-winning catches on the wall and coasters that call the town a “quaint drinking village with a fishing problem.” Unpretentious dive bars like this are a dying breed on the East End and you won’t see such a laid-back, come-as-you-are crowd anywhere else. For years, this old-school Montauk institution served seafood on paper plates to patrons at plastic tables, but with a recent upscale revamp, Duryea’s now sports a sleek look and family-style portions. Rest assured, the lobster, clams, and picturesque view of Fort Pond Bay remain the same as ever -- the same goes for the laid-back counter-style ordering. The massive 2-pound lobsters come fresh from the fish market next door and can feed two to three people. Lazy eaters take note: The shell is pre-split and cracked so most of the work is done for you and the meat is tender, never chewy. It’s not summer on The End without a can of Watermelon Session Ale -- and it’s even better when it comes directly from the source. 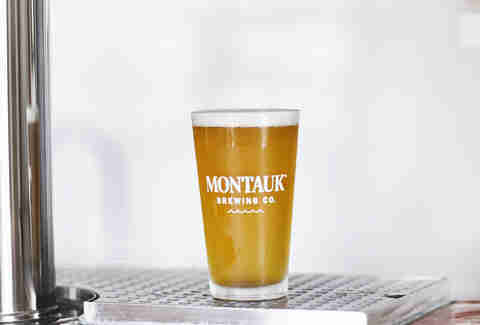 Park out front at one of the umbrella-shaded picnic tables or squeeze beneath the surfboard ceiling inside to try a flight of Montauk Brewing Company's signature beers, from Driftwood Ale to Wave Chaser IPA. If you go to Montauk without catching a show at The Surf Lodge, did you even really go to Montauk? The free Billboard Summer Concert Series has become a must-see staple of the Hamptons scene. Yes, you’ll have to get there pretty early to snag a spot on the waterfront deck, but swaying to the latest indie music acts as the sun sinks into Fort Pond makes the extra effort worth it. While casual bayside eateries abound on The End, true oceanfront fine dining is rare. That’s part of what makes Scarpetta Beach at Gurney’s Montauk Resort so special -- the insane view combined with elevated Italian cuisine makes for a truly perfect summertime meal. You can’t go wrong with innovative pasta dishes like duck and foie gras ravioli or delicate fish preparations like branzino over seafood ragu. And as far as that view is concerned, there’s not a bad seat in the house. But to take full advantage, ask for a table outside on the deck. This Huntington favorite opened a roomier Montauk location five years ago, serving up eclectic small plates meant to be shared tapas-style with a side of live music. 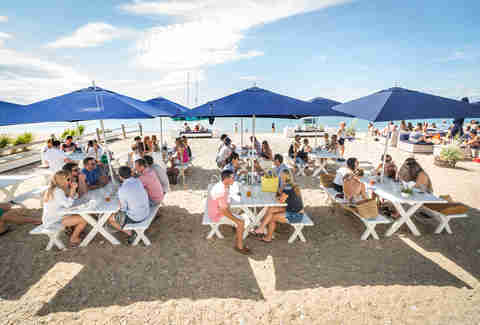 Dishes like curry mussels with ginger and cilantro, grilled octopus with Spanish jamón, and clams michelada made with Montauk IPA echo the innovative bites from the original location, but with a stronger focus on seafood (when in Montauk... ). 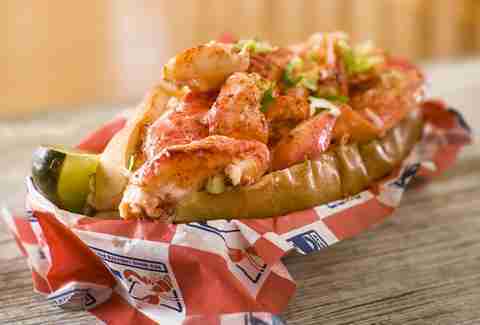 There’s something about eating a lobster roll outside on a picnic bench that just screams summer. 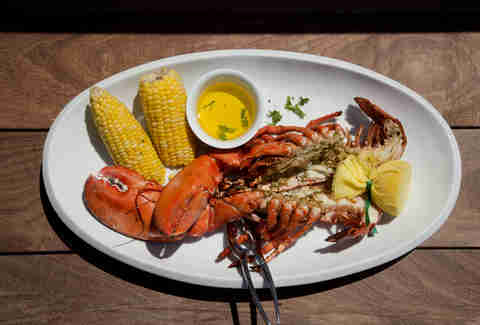 And Red Hook Lobster Pound is the place to do it in Montauk. The NYC-based chain offers a variety of options when it comes to rolls -- chipotle mayo or basil vinaigrette, for instance -- but why mess with a classic? Opt for either the Maine style (with mayo) or Connecticut style (with butter) and be sure to get a side of lobster mac & cheese. Every good beach town needs a reliable joint that serves breakfast all day (because why should you ever be anywhere before 11 on vacation?). Joni’s fits the bill with build-your-own breakfast wraps and fresh fruit smoothies that you can grab on your way to the beach or eat while chilling out at one of the casual picnic tables out front. Flagship is the third venture from the father/son, chef/mixologist duo behind East Hampton favorite Bay Kitchen Bar, and here the cocktail menu is as much of a draw as the food. 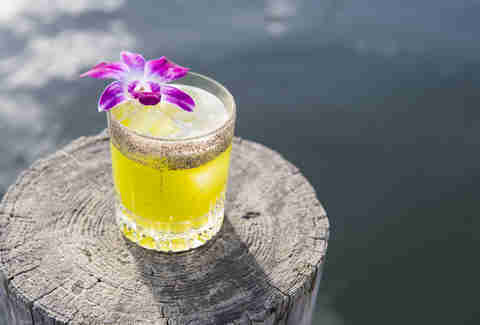 The drinks put a modern twist on classic recipes like the refreshing Garden Party with gin, cucumber, and green peppers. Pair one with crudo like the torched fatty bass for a meal that feels as fresh as the airy, white decor. This sleek mediterranean spot is an oenophile’s dream, offering three high-tech dispensing machines that serve wine at the ideal temperature. But don’t be intimidated if you can’t tell a sauvignon blanc from a syrah. 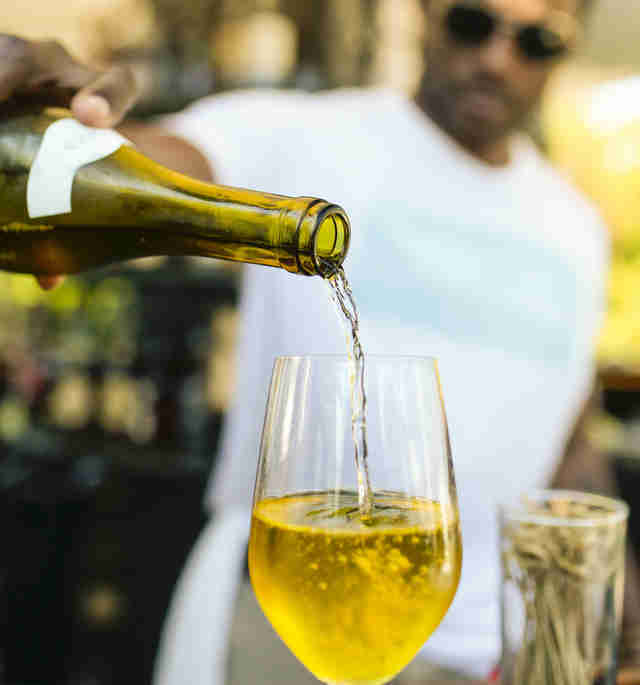 The wine list is arranged in categories that everyone can understand, from “The No-Brainers” to “Treat Yourself.” And if you need help deciding what dish best complements your choice, the servers are trained to guide you to the perfect pairing. You didn’t travel all the way out here to go to Starbucks. 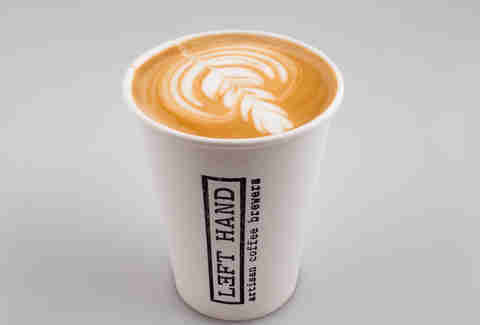 Stick with Montauk’s tradition of supporting local businesses and grab your morning coffee at Left Hand Coffee instead. The customized house blends, Yama-style cold drip coffee, and handcrafted matcha lattes are not to be missed. And with two locations in town, you have double the chance to get your caffeine fix. What to feel like a kid again? 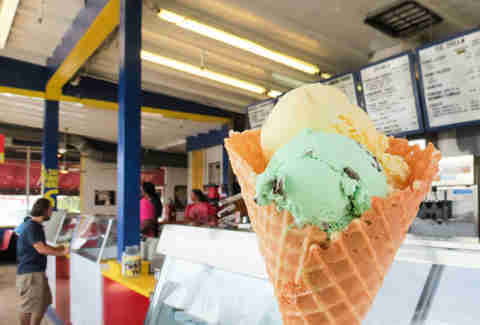 John’s Drive-In will bring you back to the roadside stands of your youth with its brightly colored booths, overflowing scoops, and endless selection of shakes, floats, and classic sundae toppings. All ice cream is made in-house, including not-so-basic flavors like coffee Oreo and lemon coconut. Kate Traverson is a writer and editor living on Long Island who could totally use a cold Montauk Watermelon Session Ale right about now.